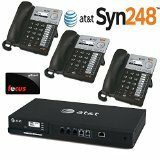 This Connect-to-Cell™ Phone System from AT&T accommodates 5 handsets. 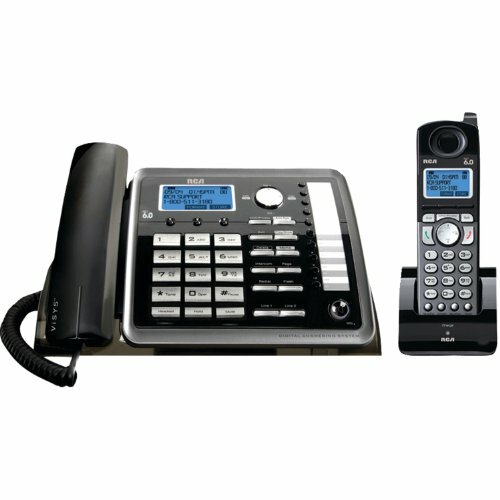 Its features include smart call blocker, virtual multi-line operation, intercom and more. It's expandable up to 12 handsets. 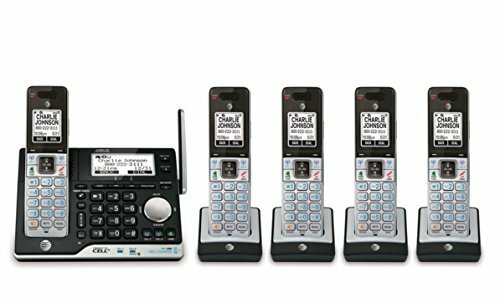 X16 Small office phone system is an easy to install Digital small office telephone system that comes equipped with the X16 Voice Server and four 6 line X16 Digital speakerphones in the fashion color- Charcoal.This designer series phones are attractive and stylish. "Eye Catching" backlit blue LCD display. HD blue and green LED lights.Ships to work with up to 4 phone lines and is expandable to up to 6 phone lines. 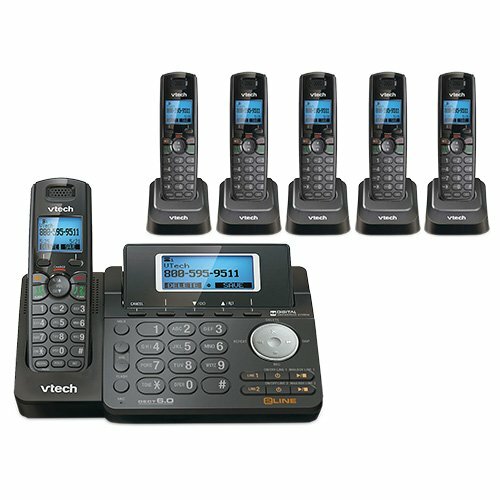 This system includes 4 telephones but is expandable up to 16 telephones. Has an auto attendant to answer and process calls, 4 voice mail ports with 2 hours of message storeage, busy telephone indication, CO line call pickup, extension call pickup, express conference, direct mailbox transfer, music on hold. 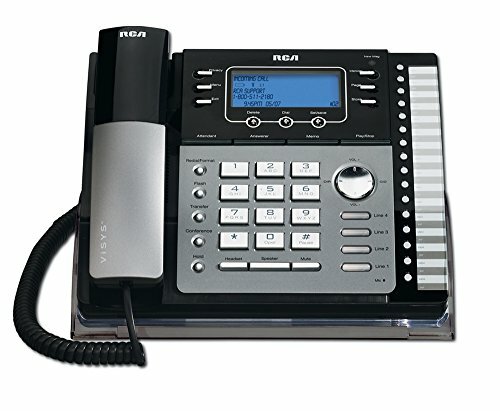 internal and external, personal voice mailbox, one touch record, memo record, call forward to voice mail, external or trunk to trunk, hot dial pad , all call page. Easy to install. 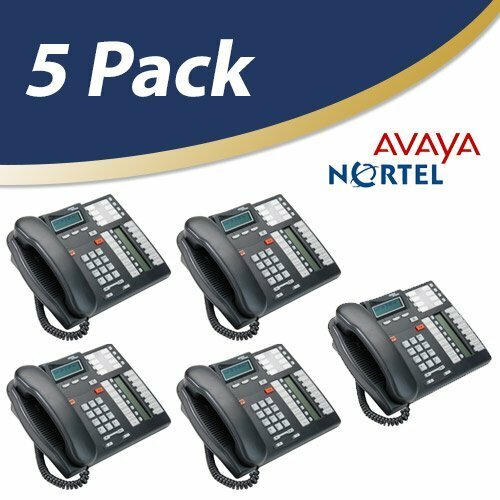 Value priced compared to other phone systems. 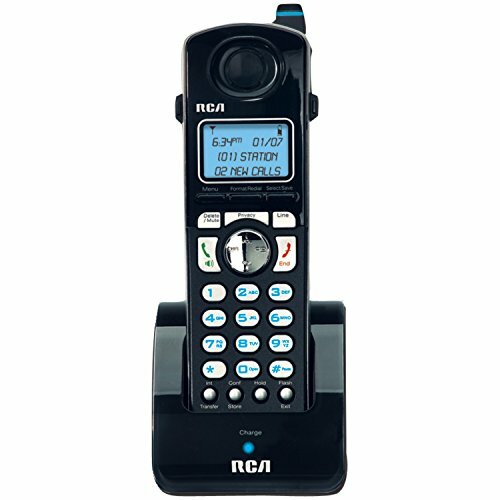 RCA DECT 6.0 2-Line Cordless telephone with caller ID/call waiting displays the name and number of the caller even when you are on another call. 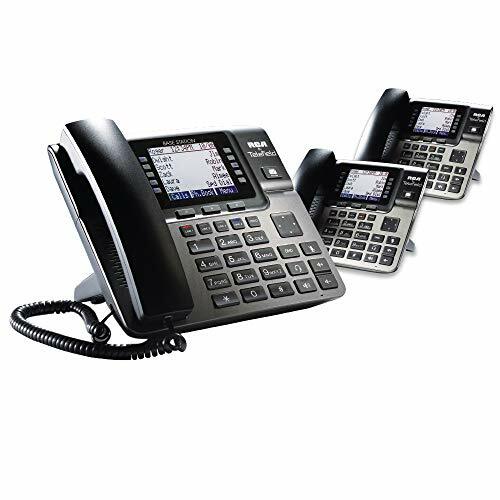 Telephone is expandable up to 10 handsets and facilitates 2-way conferencing. 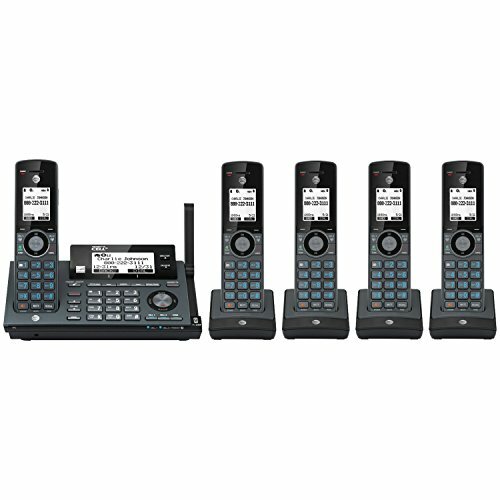 This Connect-to-Cell Phone System from AT&T accommodates 5 handsets. Its features include smart call blocker, virtual multi-line operation, intercom and more. It's expandable up to 12 handsets. 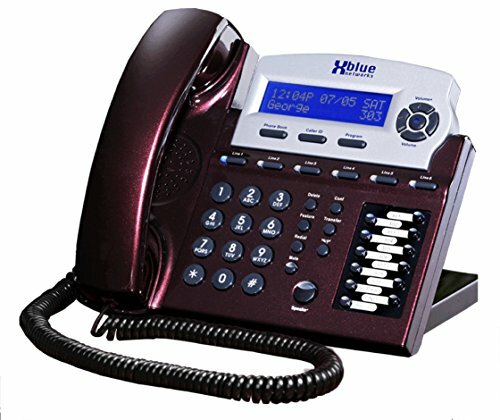 X16 Small office phone system is an easy to install Digital small office telephone system that comes equipped with the X16 Voice Server and eight- 6 line X16 Digital speakerphones in the fashion color- Charcoal.This designer series phones are attractive and stylish. "Eye Catching" backlit blue LCD display. HD blue and green LED lights.Ships to work with up to 6 phone lines. 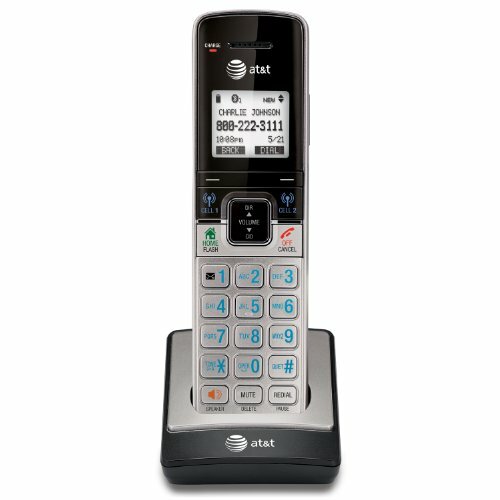 Comes with 8 phones but is expandable up to 16 telephones. Has an auto attendant to answer and process calls, 4 voice mail ports with 2 hours of message storeage, busy telephone indication, CO line call pickup, extension call pickup, express conference, direct mailbox transfer, music on hold. 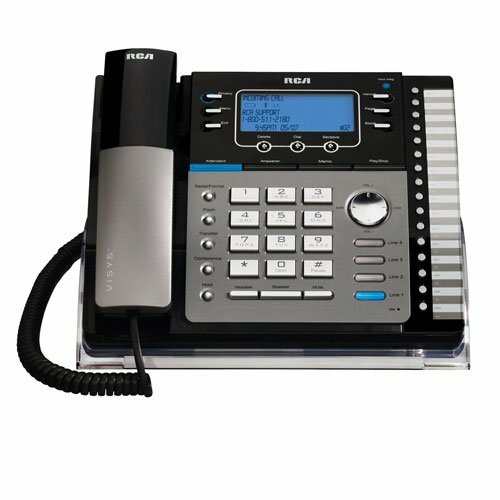 internal and external, personal voice mailbox, one touch record, memo record, call forward to voice mail, external or trunk to trunk, hot dial pad , all call page. Easy to install. 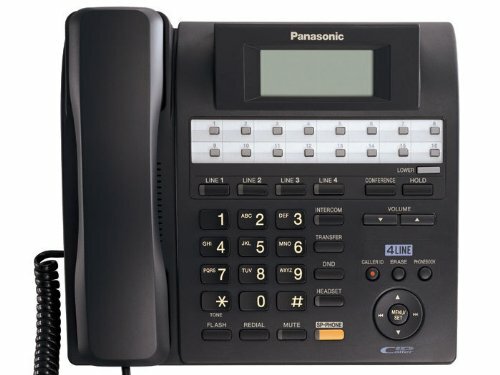 Value priced compared to other phone systems. 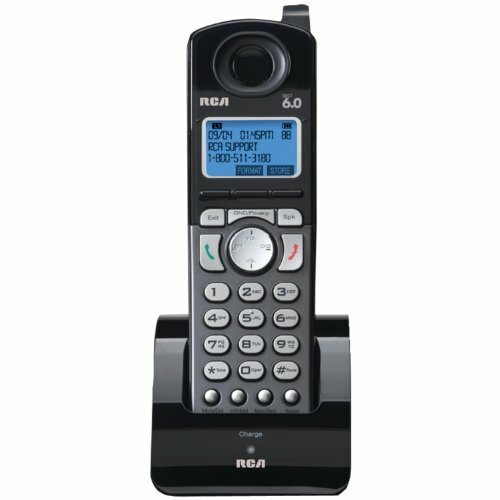 The RCA 25252 is a 2-Line DECT 6.0 Cordless Phone with Digital Answering System. 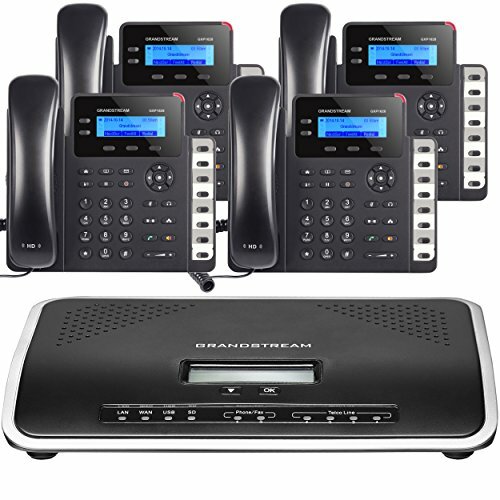 With this system you can enjoy interference free communication and enhanced security features. 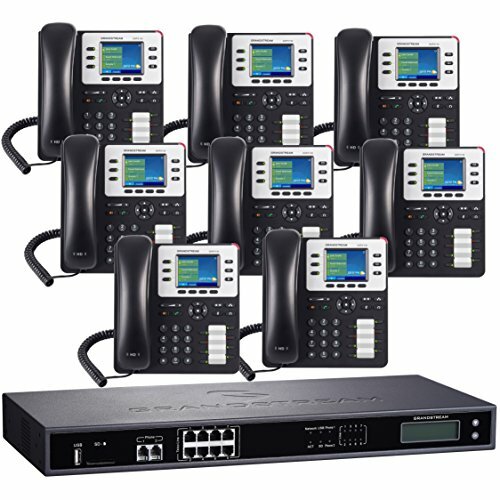 This system is expandable up to 10 handsets. 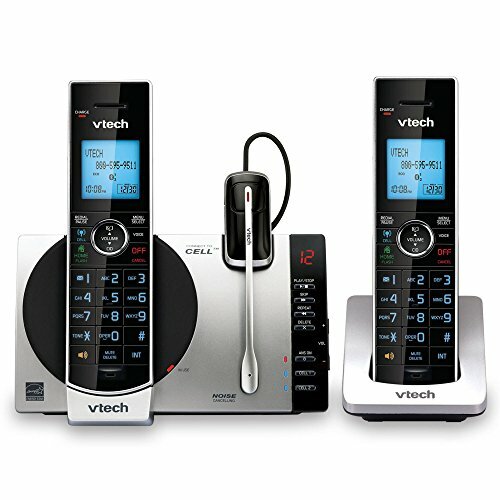 This 2-line cordless system features a Trilingual LCD which displays data perfectly and comes with a Full-duplex speakerphone. 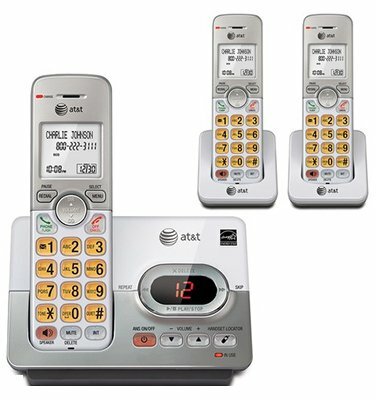 This system comes with 100 Number Caller ID Memory and 99 Name Directory Memory also with 10 Programmable one-touch speed dials. 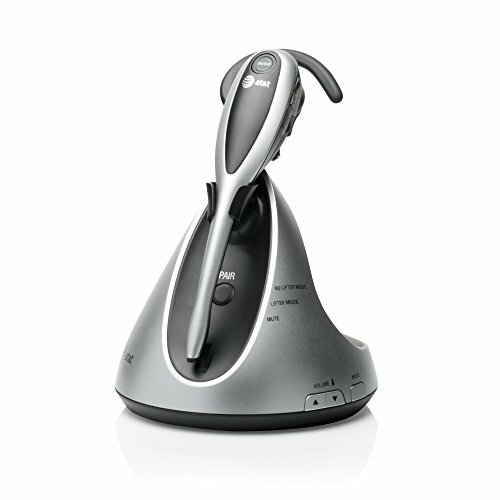 This Business Digital Cordless Multi-Handset System is also Hearing Aid Compatible and provides crystal clear sound. 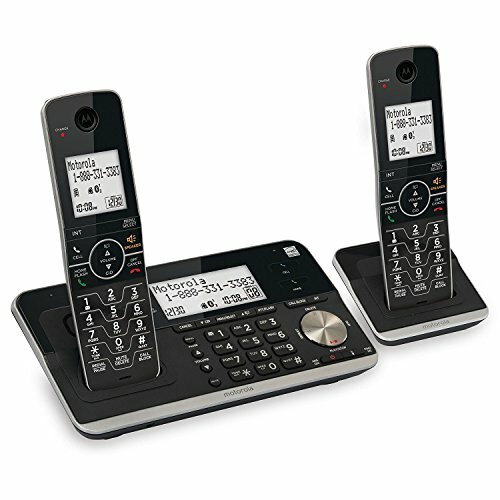 Every X16 digital telephone is an exceptional quality speakerphone and provides an easy to read interactive LCD display. Use the LCD interactive buttons to access your own personal phone book entries, review Caller ID information or look at your Call log of outgoing calls. And to make the telephone the easiest to use in the industry, helpful navigation keys let you scroll through and easily access the X16's abundant feature offering. One touch record of live phone conversations. Personalized feature buttons. One touch intercom calling. Busy telephone indication. Soeed dialing. All in a stylish color of Red Mahogany. 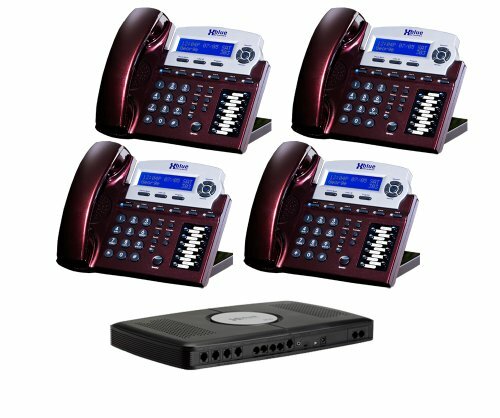 X16 Small office phone system is an easy to install Digital small office telephone system that comes equipped with the X16 Voice Server and four 6 line X16 Digital speakerphones in the fashion color- Red Mahogany. These economical phones are attractive and stylish. "Eye Catching" backlit blue LCD display, along with blue and green vivid light LED's. 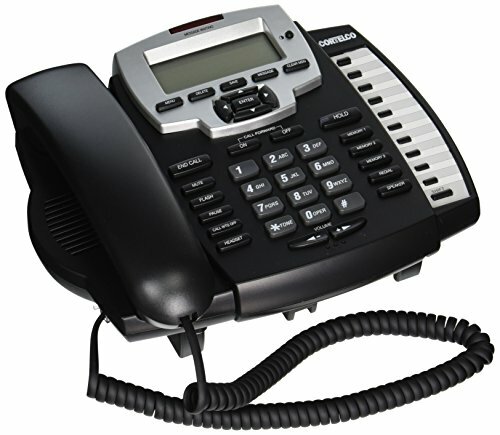 Ships to work with up to 4 phone lines and expandable to up to 6 phone lines. 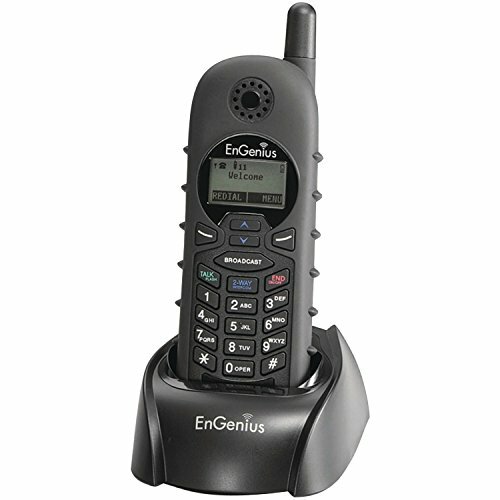 Comes with 4 telephones but expandable up to 16 telephones. 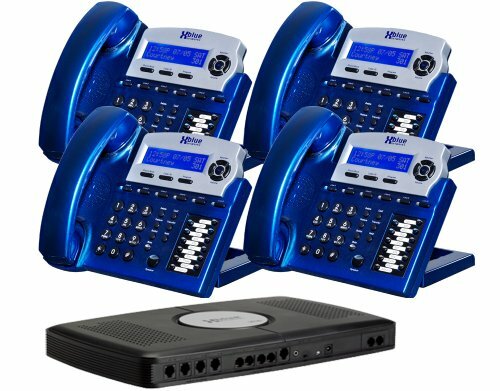 Has an automated receptionist to answer and process calls, 4 voice mail ports with 2 hours of message storage, busy telephone indication, CO line call pickup, extension call pickup, express conference, direct mailbox transfer, music on hold. 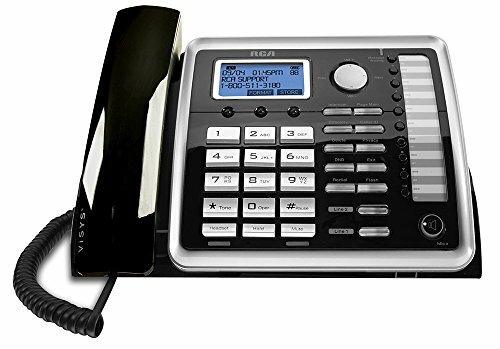 internal and external, personal voice mailbox, one touch record, memo record, call forward to voice mail, external or trunk to trunk, hot dial pad , all call page. Easy to install. 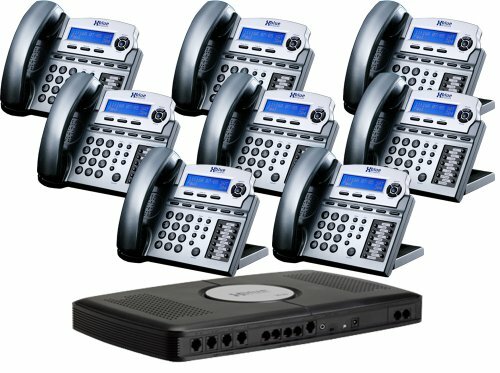 Value priced compared to other phone systems. 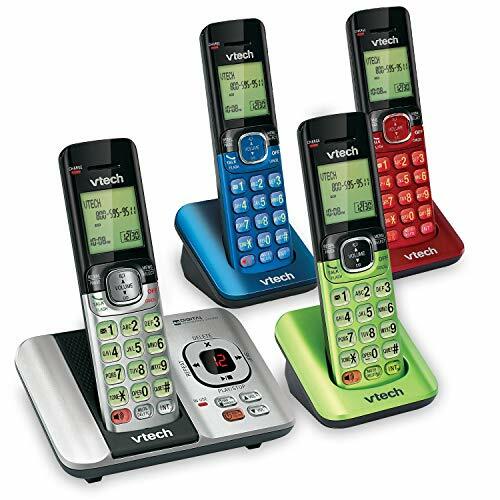 Complete with Connect to Cell technology, the VTech DS6771-3 DECT 6.0 expandable cordless phone with Bluetooth Connect to Cell and answering system lets you live a cellphone-homephone integrated life. Answer a cell or landline call on either of the two included handsets (or the headset) from anywhere in your home, and hear your call clearly with DECT 6.0 transmission. With a touch of a button, enjoy the high-tech benefits your smart phone offers. Even if your smartphone is in a different room, you can access Siri or Google Now from the cordless handsets to place a call, write or read a text, and all other actions these services offer. 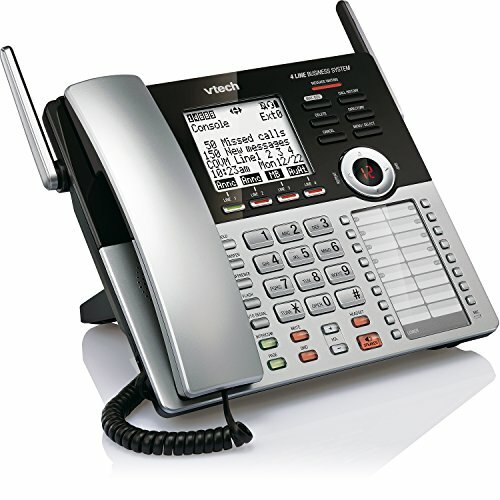 With up to 22 minutes of recording time, the DS6771-3 answers calls when you’re not available. 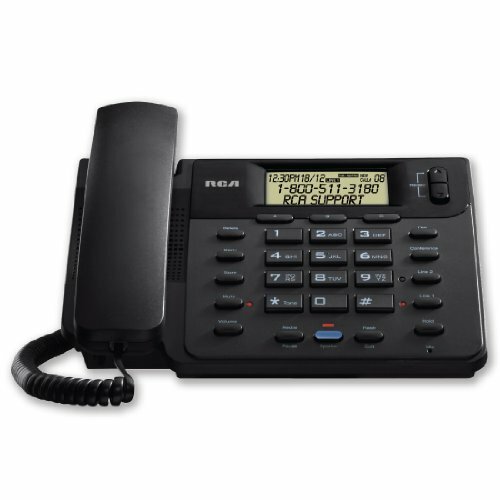 The system also features a full-duplex handset speakerphone, caller ID, and backlit displays. Add up to five devices (2 devices can be cordless headsets) in minutes with just one phone jack. 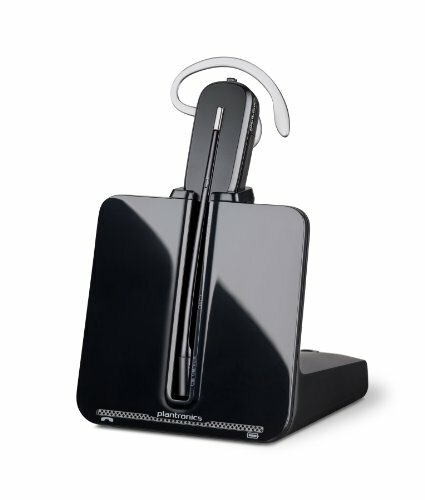 Plantronics - S11 System Over-the-Head Telephone Headset w/Noise Canceling Microphone - Sold As 1 EachConnects to single- or multi-line phones with ease. Offers hands free convenience and comfort. Noise-canceling microphone reduces background noise to ensure clear conversations. Universal amplifier is compatible with most phones and provides mute and volume control. 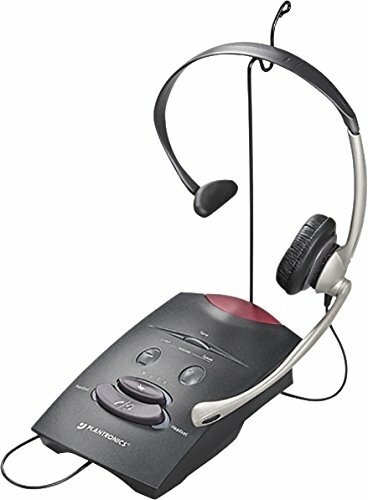 Headset Type: Monaural; Headset Style: Over The Head; Earpiece Type: Ear Cushions; Earpiece Material: Foam.Connects to single- or multi-line phones.Hands free convenience and comfort.Noise-canceling microphone.Compatible with most phones; volume/mute control.Includes Universal Amplifier. 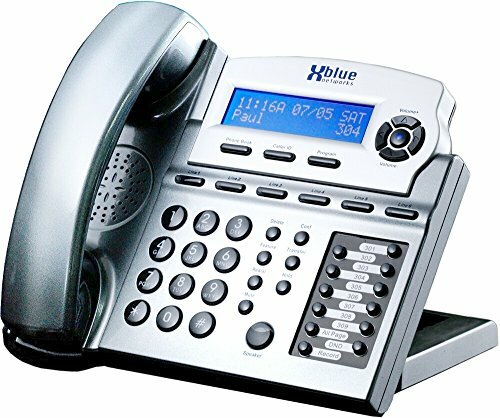 X16 Small office phone system is an easy to install Digital small office telephone system that comes equipped with the X16 Voice Server and four 6 line X16 Digital speakerphones in the fashion color- Vivid Blue.This designer series phones are attractive and stylish. "Eye Catching" backlit blue LCD display. HD blue and green LED lights.Ships to work with up to 4 phone lines and expandable to up to 6 phone lines. 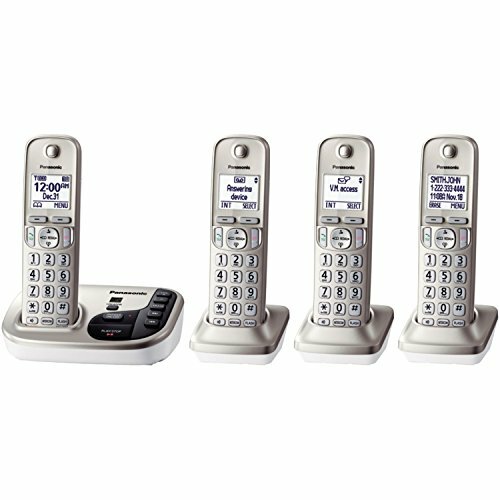 This system comes with 4 phones but expandable up to 16 telephones. 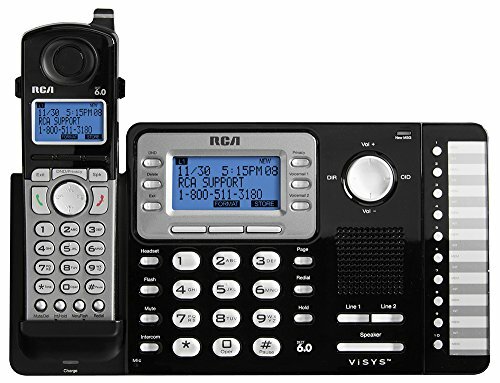 Has an auto attendant to answer and process calls, 4 voice mail ports with 2 hours of message storeage, busy telephone indication, CO line call pickup, extension call pickup, express conference, direct mailbox transfer, music on hold. 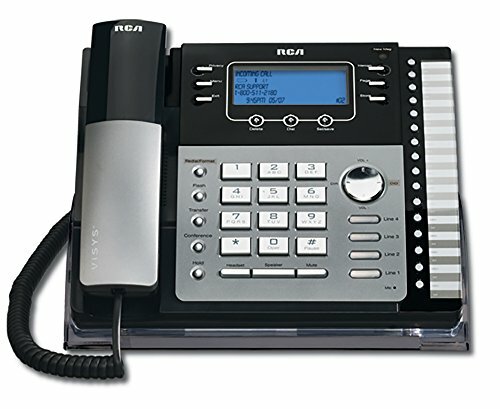 internal and external, personal voice mailbox, one touch record, memo record, call forward to voice mail, external or trunk to trunk, hot dial pad , all call page. Easy to install. 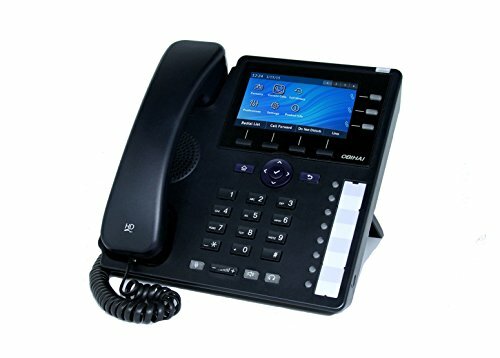 Value priced compared to other phone systems. 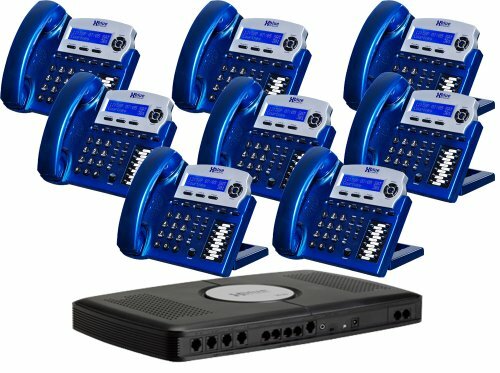 Compare prices on Multi Line Telephone System at LiveSaler.com – use promo codes and coupons for best offers and deals. We work hard to get you amazing deals and collect all avail hot offers online and represent it in one place for the customers. Now our visitors can leverage benefits of big brands and heavy discounts available for that day and for famous brands. We try to makes comparison shopping easy with Product Reviews, Merchant Ratings, Deal Alerts & Coupons. Find Deals, Compare Prices, Read Reviews & Save Money.